We live in a period of ascendent fascism. From Trump and his followers in the United States, to Marine Le Pen and the National Front in France, to the Golden Dawn in Greece, fascism and reaction are on the move across the imperialist countries. This is the result of both the general crisis of capitalism in which economic stagnation continues to deepen, as well as the cessation of the normal functioning of the so-called “democratic” political systems in the imperialist countries. In the U.S. this was made particularly clear in this latest election with the systemic instances of voter suppression and rigged elections. The masses of people are no longer even clinging to the belief that the system is merely rigged against them, but that the entire political system exists not for them, but for the ruling class. It has been throughly exposed, even to those who didn’t want to accept it, that the entire political system in the United States is rotten to the core and completely bankrupt and therefore is to be rightly rejected. As a consequence 46% of the country passively, or actively, boycotted the election. It was clear to many that the choices presented by both major parties, and even the inconsequential third parties, were repugnant or ineffective. What the Democratic Party presented was more disastrous neoliberalism, more war, and more brazen corruption. What the Republicans presented was a toxic blend of fascism, white nationalism, xenophobia, racism, and sexism. In short, a choice between a Reagan or a Thatcher, or Mussolini. Such as choice we must on principle oppose as akin to choosing to die slowly or to have your life snuffed out quickly. The various third parties, locked out of political participation, formed an amusing sideshow to the spectacle of the election, but no serious challenge. Of course this was by design, as American “democracy” from the days of the Founding Fathers has been explicitly crafted as an apparatus designed, in the words of James Madison, “to protect the minority of the opulent from the majority.” This was made clear to those who still doubted the anti-democratic nature of American democracy by the behind the scenes maneuvering that led to the neutralization of the populist candidate Bernie Sanders, which proved that not only is working within any major party fruitless, but that the political and economic system cannot accommodate even moderate social democratic demands and reforms. The neoliberal consensus has become so entrenched that the possibility of change from within, so long propagated by liberal idealists as the only viable strategy, has gone up in flames in front of their face. Funneling mass resentment and energy into the Democratic Party presents no viable alternative and will inevitably end in cooption, and thus neutralization, or will be stamped out. 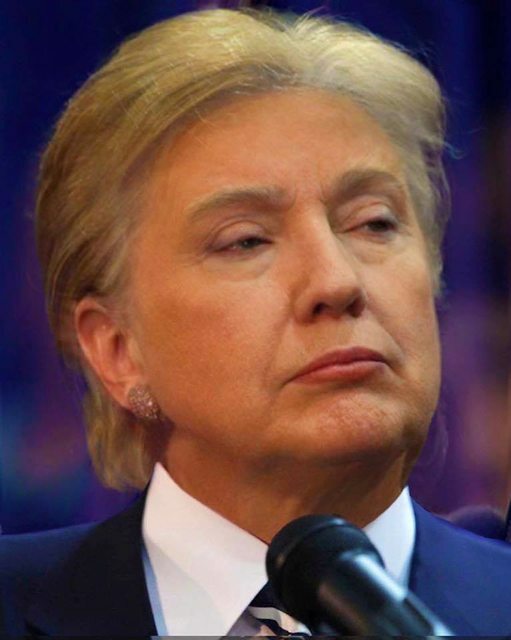 Donald Trump, and the conglomeration of fascist groups coalescing around him, represent the most vile and dangerous elements of the same “democratic” system that Hillary and the Democrats stood for. Our orientation towards Trump should be the same as our orientation to Hillary, the Democrats, and the entire U.S. empire, militant resistance with the goal of smashing them to bits. With the rise of Trump comes the rise of the so-called “Alt-Right”, or, more accurately, Neo-Nazis and white supremacists that long ago traded in their brown shirts and armbands for a suit and tie and an undercut. We uphold that it is wrong to stand idly by and preach pacifism in the face of a fascist threat. Through our study of the history of fascism we know that fascism is based on reactionary violence, and therefore cannot be defeated with hugs or love, as the liberals of today preach, but only with organized, disciplined, direct action. As with all things reactionary, if you don’t hit it, it will not fall. 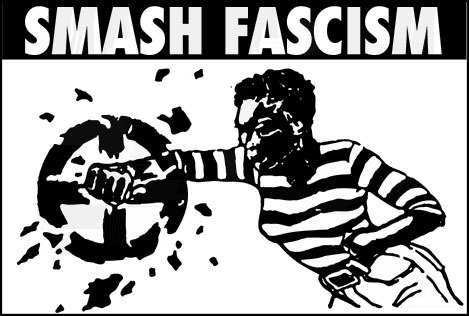 Fascism is not to be debated but smashed. Today we aim to strike at the pocketbooks of those who financially supported Trump, and thereby facilitated the rise of fascists to power. We will block foot-traffic, and obstruct shopping to those businesses that donated to Trump’s campaign in a militant effort to strike directly at what the fascists hold dear, cold hard cash based on exploitation and their economic power structures. We understand that this action alone will not remove Trump and his cronies from power, but it will shock those fascists and their enablers who feel emboldened by Trump’s victory into the realization that we are serious. That the beginnings of organized resistance are under way. We will become steeled through every action we take against Trump and his fascist goons, steeled through struggle, hardened through direct action that strikes at the very heart of this decaying machine of exploitation and terror. Our long term goal must be to construct a determined, militant, and disciplined anti-fascist movement capable of striking at the roots of Trumpite fascism, and its basis, decaying capitalism itself. This must necessarily be a protracted process, but now, more than ever, such a process must be initiated, which is what we are doing today. Furthermore, we must construct such a movement on the basis of principled unity and on a sound theoretical basis. Those who refuse to recognize the interlocking nature of fascism, capitalism, and imperialism will fail in their struggle against any of them. It is absolutely urgent to grasp this connection in its all-sidedness in order to effectively fight and resist. We must also oppose those who support Hillary and the Democrats, as they represent and constructed the same monstrous system that Trump now controls. The same system that bombs innocents overseas, the same system birthed from colonial genocide and slavery, the same system that pushes down further the working class into the depths of despair and economic misery, and the same system that terrorizes the black nation with its police and prisons. Our oppressed nations comrades, especially the black nation, have lived under fascist terror for 400 years. Fascism is an old, but very real enemy to them. An ever-present reality built into America as a political entity itself. Which is why we have a duty to oppose fascism, capitalism, imperialism, and the prison house of nations that is the United States. We must also isolate and ruthlessly criticize those who wish to divert people’s energy into pointless petitions to the Electoral College or other such nonsense, as again, appealing to structures of power that are anti-democratic by nature is an exercise in futility and utopianism. The Alt-Right and Trump laugh at such toothless displays of resistance, and they are right to. Power does not concede power to signatures on paper, it never has and it never will. Those who refuse to directly confront fascism and instead muffle the voices of the marginalized, oppressed, and exploited people with the mouthpiece of pacifism must be opposed and criticized as well. They stand in the tradition of the old liberal collaborators in Germany, Italy, Spain, and Chile that made absurdities of democratic absolutes of free speech, and thereby facilitated the rise of fascism. They led the vulnerable into the arms of death in the name of unprincipled peace. We recognize no peace with fascists because fascism means death for us, for our LGBTQ comrades, our black and brown comrades, and for our Muslim comrades. It is right to fight back against them, to resist them in the name of self-preservation and self-defense. We see no value in providing a platform for fascists to air their views in the name of “democracy” either when their expressed goal is to smash the very platform they are given, and to drag us to the depths. Such a view is a paradoxical display of tolerance gone awry. We must expose and defeat fascists and their enablers by any means necessary, to not do so is to be complicit with it and to naively and dangerously lead others on the road to doom. We don’t defend the rotten capitalist system and the fraudulent democracy of the United States from fascism, because both are two sides of the same coin. In fact, the discontent engendered by the worsening economic conditions for the masses here, combined with a deadlocked and unresponsive political system, is what birthed Trumpite fascism. To believe that we can continue on the road of capitalist-imperialism in the face of a heightened world crisis and impending economic and environmental catastrophe is pure utopianism. We, and the downtrodden here and across the world, want out of this cycle of destruction and calamity. We won’t fight for a system with one foot in the grave. We will fight for something better, a world free from the maniacal reign of capitalist-imperialism and its decayed and brutal outgrowth, fascism. We will never cease our struggle no matter the odds. We have the People’s cause on our side and we know one day we will be victorious. Today is only the beginning of developing that anti-fascist struggle that can one day declare fascism extinct. Be proud to be the first on the front lines, but don’t let today be the end. Let it be the dawning of a new period of courage in the face of reaction, an opening in the great struggle to come for the liberation of the oppressed peoples the world over from the bootheel of tyranny. You stand with millions in opposing Trumpite fascism. From the Philippines, to India, to France, to our comrades in Progressive Youth Organization-Saint Louis rising up in anti-fascist resistance today in solidarity with us, you are not alone in your fight. You must make your actions felt at work, in the streets, and on your campuses, not just here today. The fight against fascism extends to every sphere of life. If we are to succeed we need each and every one of you to stand bravely and defiantly with us. To declare “never again will fascism draw breath”. The time has come to cast aside all ballots, petitions, and idealistic fantasies and prepare for struggle. Today, we salute you as bold and fearless comrades in that tireless struggle against the fascist leviathan. LONG LIVE THE ANTI-FASCIST RESISTANCE! SMASH REACTION ALL ALONG THE LINE! DOWN WITH THE ALT-RIGHT AND TRUMP! SMASH CAPITALIST-IMPERIALISM TO SMASH FASCISM! Dare To Struggle and We Won! UMKC Tuition Hike Defeated! This past week the College of Arts & Sciences Student Council received a plan to increase the A&S Course Fee to $60 per credit hour. They are standing to make $3.1 million from this increase, but at what cost to the students? This change would have impacted more than 9,000 students who would have to pay anywhere from $500-$1000 more in fees each semester. This fee is also recurring from year to year. Each year the fee will increase due to another decision by UMKC administrators. They haven’t informed any of their students of this proposal either, not even so much as a courtesy email or letter in the mail. 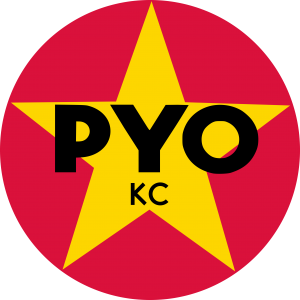 PYO-KC as an organization flyered and posted information surrounding the town hall and imploring students to be involved to oppose administration and the CSA student council’s proposal. In the weeks prior to a landmark Supreme Court decision on DAPA and DACA+, a decision that would affect the lives of millions of people across the nation, the Obama administration’s ICE decided to carry out its second major immigration raids of the year; this time in the Midwest. Under the guise of “removing criminal aliens,” ICE has rounded up 331 immigrants in the states of Illinois, Indiana, Wisconsin, Kentucky, Kansas and Missouri. Much of the language of the statements from ICE justify these raids in the interest of “public safety,” but they contradict the impact that immigrant rights groups in the area claim is doing more harm than good. ICE raids break up families and traumatize children who must contend with witnessing armed groups of men abducting their parents and siblings from the safety of their homes. The remark of “removing criminal aliens” is also a ruse that includes individuals working with infractions as minor as working with a made-up social security number. Chicago was the hardest hit city with 106 arrests made. In our own state of Missouri, 39 arrests were made in the Kansas City area. Such actions constitute a treacherous violation on the part of the Obama administration, which has deported more immigrants than any other previous administration combined in recent history. This coming on the cusps of promising comprehensive immigration reform. It is clear to us that immigration reform and collective liberation cannot come at the mercy of the carceral state, which must be fed with a constant supply of prison inmates to fill it’s jails, but rather a willingness to resist. History has taught us that no people is given their freedom without standing up and fighting for it. The very fact that immigration reform is being discussed, that DACA was won by the People, was not from a change of heart from the Democratic Party and the Obama administration. Rather it was won from the willingness of hundreds of thousands of Dreamers rising up to demand their right to not be separated from their families. Who fought to have access to the right of education. In Missouri a reactionary bill was signed into law, HB 2003, that would seek to undermine DACA by charging Dreamers international rates to attend public universities. The law is supposed to go into effect August 28, 2016, but already schools are hiking tuition on ‘DACAmented’ students. In Kansas City, community colleges which cannot charge international rates, and thus are immune to the language of the bill, still see it fit to charge out-of-state tuition to DACA recipients, even though they are under no obligation to do so. Such racist attacks by Missouri’s legislature, and the signing of the bill into law by Jay Nixon, who assured undocumented youth that it was “unenforceable,” show that it is not the politicians in whom we can trust, but in our own ability as The People to resist. Such moves which seek to undermine the victories we have made must be soundly and firmly rejected. We are issuing a call to resist not only the ICE raids but Missouri HB 2003 . We will not relent until this unconstitutional law is repealed and Dreamers are given access to schools in the state in which they reside. We will not sit idly by and allow so many members of our community be treated in such a neglectful, violent and racist manner. May Day is a day of celebration and solidarity with the workers of the world. Workers are oppressed and suppressed everywhere! Whether here in the U.S. by the police, the exploitative capitalist class, and the predatory prison system, or around the world by a country’s own capitalist class, occupying imperialist armies, and parasitic multinational corporations. The working people of the world are our allies and friends, it is the ruling classes that are our class enemies. On May 1st we want to express this by joining in solidarity with all the oppressed working peoples of the world, and to celebrate over 100 years of the struggle of Labor. International Workers’ Day has a long and proud history, starting as a commemoration of those convicted and executed for standing up for the rights of working people at Haymarket right here in the United States, to now being an international holiday for working people all over the world. The U.S. government, always fearful of the power of the working class, has attempted to suppress this holiday over its over one hundred year history, in an effort to break up the power and solidarity of the working and oppressed masses. Our story begins over 100 years ago in the late nineteenth century where the conditions on the jobsite were deplorable, where children and adults alike lost limbs in workplace accidents, where workers experienced fatigue from 16 hour shifts that grinded their strength to the bone. Even before the onset of the Civil War the working class was clamoring for a reduction in the working day by half without a loss of pay. During this time period socialist, anarchist and communist ideas were very popular among the working class. Many were enticed at the promises of a equal and just society where the means of production was controlled by the working class and distribution of goods and services in a more equitable manner. The workers saw first hand that they were seen as expendable commodities meant only to enrich the pockets of the capitalist class that exploited them, they saw firsthand thousands of deaths each year in the workplace, saw that life expectancy was as low as the twenties in some places and were enticed at the promise of socialism. They knew another world was not only possible but necessary. In time many of these socialist, communist and anarchist workers began to collectively organize and form labor unions which demanded an end to child labor and the implementation of an 8 hour work day. At a national convention held in Chicago on October 1884, The Federation of Organized Trades and Labor Unions on May 1st adopted in it’s platform the call for the legalization of the 8 hour work day “from and after May 1, 1886”. As the date approached US labor unions prepared and began to mobilize for a general strike in support of the measure. 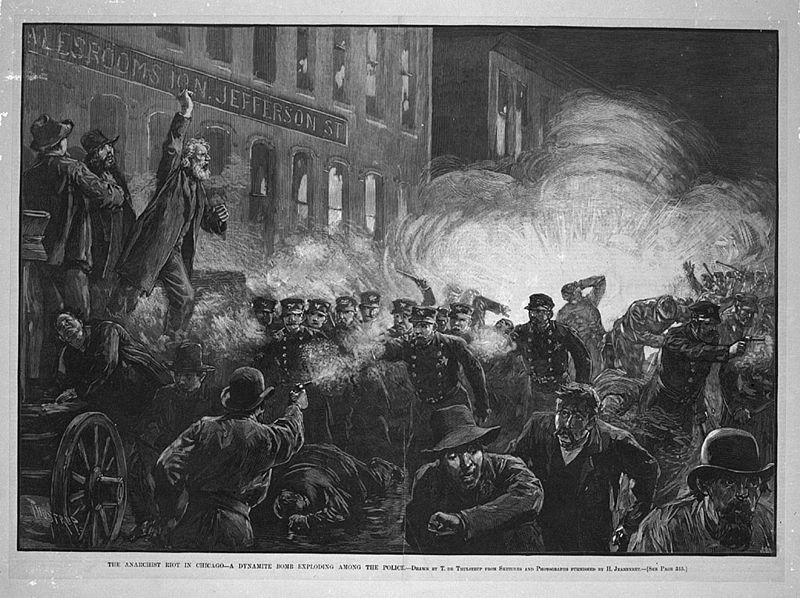 On Saturday, May 1, thousands of workers went on strike and rallies were held throughout the United States, with the cry, “Eight-hour day with no cut in pay.” In the city of Chicago, which was the epicenter of it all, it was estimated that 40,000 workers went on strike, with twice that number participating in different social venues throughout the city. Last Saturday the people of Kansas City made the call to step into Main Street. The call was not made by PYO, not the first time nor the second time, but members of our organization were involved in taking the street. We were at the peoples back, answering the call and carrying our banner proudly to the frontlines. We will always be at the peoples back when the call is made. In recent days, however, it’s been made clear that The Kansas City Star – the local newspaper – does not have the people’s back. To those of us who were at the protest, watching Mayor Sly James, KCPD Chief Forte, and the Star try to make sense of the events has been like watching an episode of the Twilight Zone. To those of us who were at the protest, watching Mayor Sly James, KCPD Chief Forte, and the Star try to make sense of the events has been like watching an episode of the Twilight Zone. Working Women: We Have The Power! March 8th is International Working Women’s Day or International Women’s Day. This is a day of celebration and recognition for the struggles overcame and accomplishments achieved by women, especially working women. We begin on March 8, 1857 when garment workers in New York City march and picket demanding better working conditions, a ten hour work day and equal rights for women. The brave women who had dared to fight for better conditions were dispersed by the police. A full fifty-one years later on the same day on March 8, 1908, women in the needle trades in New York City marched again. The march this time, honoring that historic march on 1857 demanded the right for women to vote, they also demanded an end to child labor. Just as in the past the police were there to disperse them. 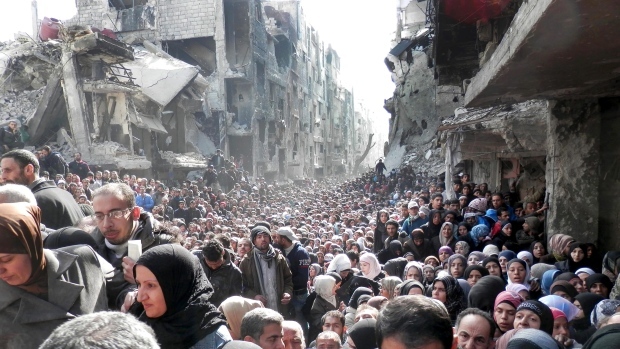 As 2016 rolls around, so does the 5th year of the Syrian Civil War. Millions of people have fled the country attempting to escape the violence, preferably to Europe or the United States. In a 289-137 the US House of Representatives voted to make it harder for refugees fleeing the tragic violence to come here. In Missouri, Lieutenant Governor Peter Kinder and the Missouri Republicans want the State to deny entry for all Syrian Refugees. Meanwhile Governor Jay Nixon wants “more safeguards” to an already restrictive process. While in Kansas politicians like Sam Brownback are attempting to block refugees from coming in signing an executive order to prevent refugee resettlement! Governor Sam Brownback is a gubernatorial travesty, and is trying to shift the attention away from his failed policies and joins about 20 more governors, in denying refuge for those fleeing terror and violence caused by this country’s imperialist policies. They are not alone, presidential candidate Donald Trump, one never to disappoint with his racist rhetoric, has even gone as far as to call for a ban on all Muslim immigration and a national database as we “cannot be sure” if they are terrorists or not. Implying that the majority of the world’s Muslims are only a shove away from adopting the tenets of the Islamic State. This sort of language is what comes right before a campaign of ethnic cleansing. Using racist and Islamophobic rhetoric, the Far Right in this country has demonized and painted with a broad brush all Muslims and people of Arab descent as terrorists. We must stand together against these reactionaries because they do not only affect refugees from countries like Iraq or Syria, but also refugees fleeing violence in Central America.